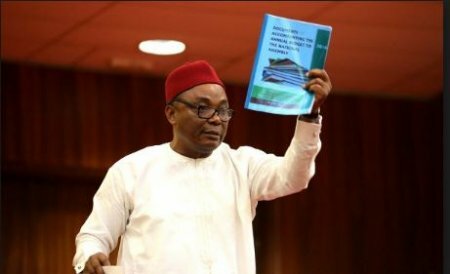 Senator Peter Nwaoboshi representing Delta North Senatorial District, on Tuesday suggested that the Nigerian Senate should step down the confirmation of the acting INEC REC commissioners. Senator Nwaoboshi at the plenary session said President Buhari's appointees disrepect the Senate. "Senate may step down the Confirmation since they are acting & @MBuhari's appointees disrespect the Senate", he said.